Exact year unknown. 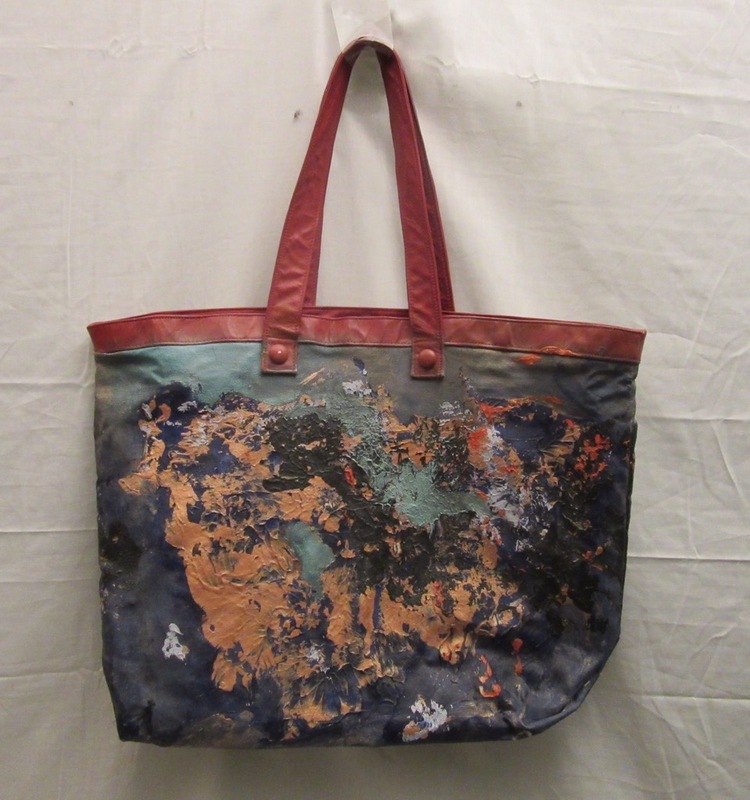 From the owner: "In the late 1980s, I bought a handbag that was painted by Joni. I bought it at a store called A Star Is Worn, that used to be on Melrose. It was a consignment store, owned by Sonny Bono's second wife. She got a lot of clothing and other items from celebrities she knew and sold them in her store. There was a Joni Mitchell section, where I found and bought this bag. It's painted on both sides.